Freeport, Grand Bahama - Best Ever Film Ltd. in partnership with Artistic Soul Productions Studio (ASPS) announces the Freeport Gala Premiere of “Cargo”, the largest Bahamian film project ever. The “Cargo” Gala Premiere in Freeport is open to the public and will be held on Friday, December 8, 2017 at A Social Affair Convention Center. Written and directed by acclaimed Bahamian filmmaker Kareem J. Mortimer, this action filled human drama inspired by true events, tells the story of Kevin, a Bahamian fisherman with a gambling addiction in Nassau, who takes a job smuggling Haitians to Florida in a desperate ploy to support his family. “Cargo”, produced by Bahamian production company Best Ever Film Ltd., has already won a Bahamian Icon Award and the Amnesty International Human Rights Award at the Trinidad+Tobago Film Festival. The film stars Warren Brown, Gessica Geneus, Omar J. Dorsey, Jimmy Jean-Louis, Persia White and Sky Nicole Gray. “‘Cargo’ is the culmination of seven years of raising money, writing, researching and looking within to make a work of art that we are ultimately proud of,” stated Kareem J. Mortimer. 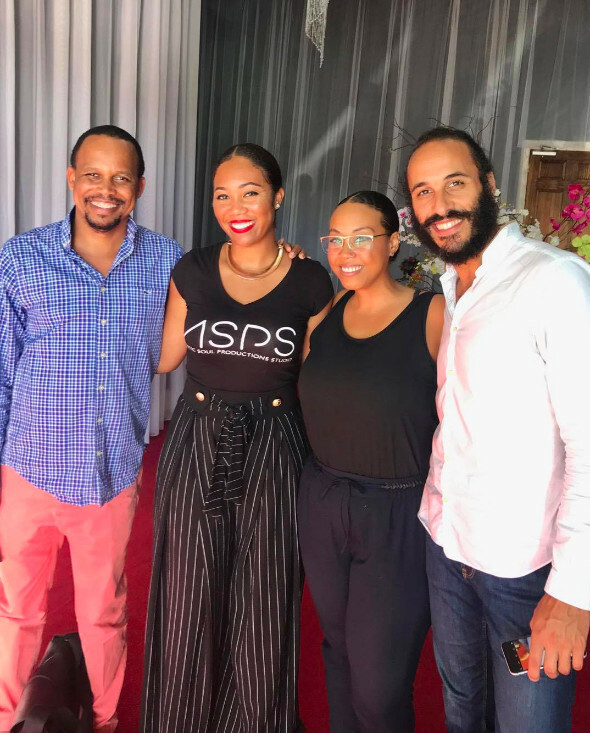 The film is a feature length version of Mortimer’s award-winning short film “Passage”, which was released in 2012 and won ten awards including an African Movie Academy Award and a Bahamian Icon Award. "In 2013 I received an offer of 1 million dollars to produce ‘Cargo’, with the caveat that the film be produced in Puerto Rico," stated Mortimer. "With no subsidies for the local film industry, producing ‘Cargo’ in The Bahamas meant much higher production costs. Despite the higher costs, we made the very important decision to shoot ‘Cargo’ exclusively in The Bahamas. This is a Bahamian film, and we were resolute in producing it here, in The Bahamas, the place we call home, the place that inspired this film." More than 80 Bahamians worked on the film, serving as the heads of major departs including Locations, Production Design, Catering and Hair and Make-Up. “Cargo” stars talented Bahamian actors as well as established and recognizable British, American, Jamaican and Haitian actors. Kareem Mortimer is an award-winning Bahamian filmmaker and video artist whose work has been distributed in more than 40 countries. Over his career, he has won more than 30 awards for his projects. His work has been reviewed by the New York Times, Variety, IndieWire and The Hollywood Reporter. “Cargo” has screened to sold-out audiences in Nassau and Miami. The “Cargo” trailer, which went viral and received more than 4,000 shares in just a few days, can be viewed online and tickets to the premiere can be purchased at www.cargopremiere.com. Tickets are also available The Seventeen Shop.